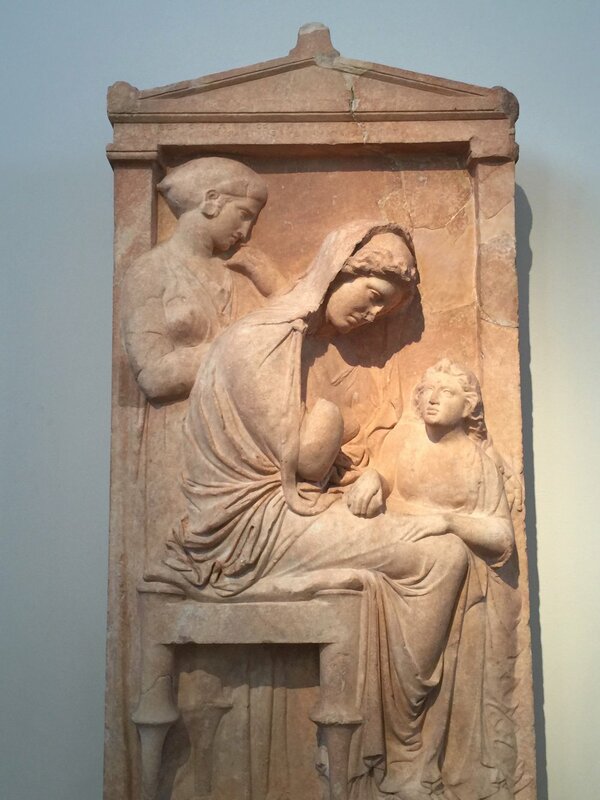 On a recent trip to Athens, seeing amazing Greek art was on the top of my list. While it's hard to miss the wonders of the archeological ruins on the Acropolis, Greece's most important archeological discoveries are located just outside the tourist center in one of the world’s greatest museums. The National Archeological Museum, north of the city center, houses ancient finds from all over Greece in a beautiful 19th century neoclassical building. 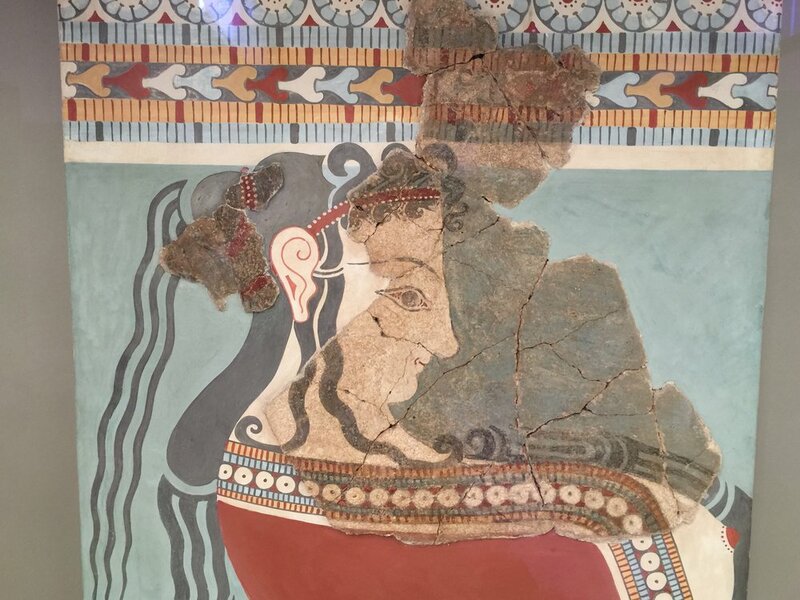 Here you will encounter the stories of Greek mythology, brought to life through pottery, paintings, and sculpture thousands of years old. • The Prehistoric Collection, which includes works of the great civilizations that developed in the Aegean from the sixth millennium BC to 1050 BC (Neolithic, Cycladic, Mycenaean), and finds from the prehistoric settlement at Thera. • The Sculptures Collection, which shows the development of ancient Greek sculpture from the seventh to the fifth centuries BC with unique masterpieces. • The Vase and Minor Objects Collection, which contains representative works of ancient Greek pottery from the eleventh century BC to the Roman period and includes the Stathatos Collection, a corpus of minor objects of all periods. • The Metallurgy Collection, with many fundamental statues, figurines and minor objects. 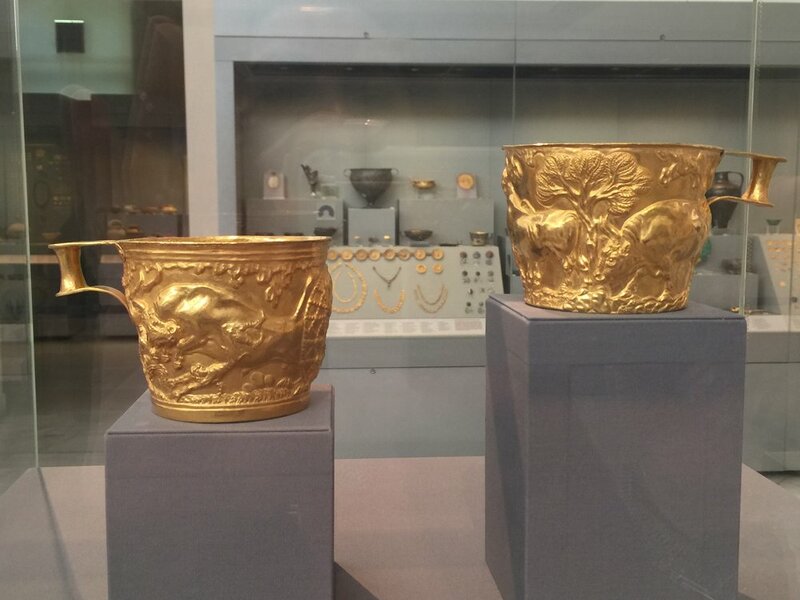 While the size of the collection is staggering, the museum’s chronological layout allows visitors to seemingly travel through time to experience the development of Greek civilization through its amazing archeological discoveries. Artemision Jockey, ca. 140 BC. 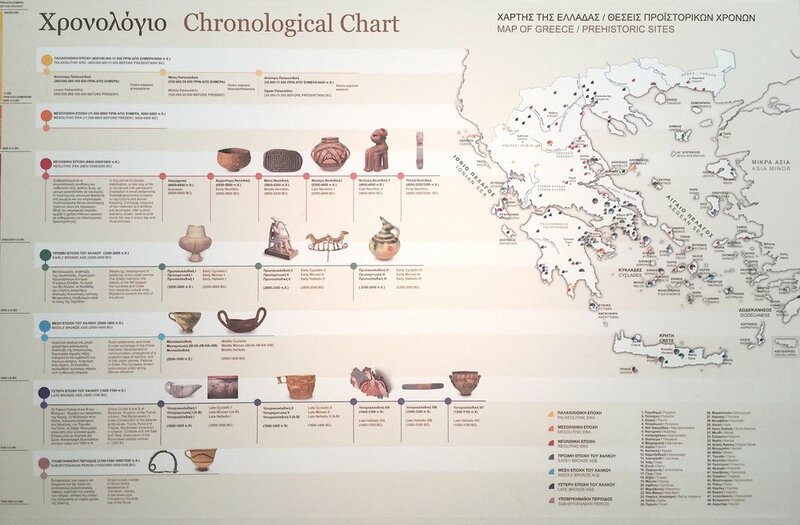 Even if you tend to shy away from museums, the National Archeological Museum is not to be missed if you are in Athens. Plan on spending about 2 hours, and go early if you want to avoid crowds and school groups. For more information and upcoming exhibits: The National Archeological Museum. Nicoletta is a lifelong artist and art educator, with an M.A. in Art Education and Administration. She travels the world seeking cultural inspiration for her art, and has worked in fibers, acrylics, oils, and sculpture. She currently teaches elementary art education, adult oil painting and sumi-eclasses in New Jersey. She is also known for her unique jewelry, inspired by the reinvention of the mundane zipper, featured throughout the NY/NJ area as Artologie Zipper Jewelry.